← POST-AUSTRIAN GP THOUGHTS – HAS KIMI FORGOTTEN HOW TO DRIVE? A well-written reminder and more in-depth view of why Kimi is having such difficulties in the 2014 Ferrari. It was no surprise to us that Kimi Raikkonen was struggling with the F14-T in Melbourne. Besides the obvious problems on the car (brake balance, traction and top speed), it features a problematic design that could extend Raikkonen’s struggles for a few more races. Upon his return to Formula 1, the Finn enjoyed a stable car under Lotus branding: a push-rod suspension that allowed easy tweaks on front and rear end setup. 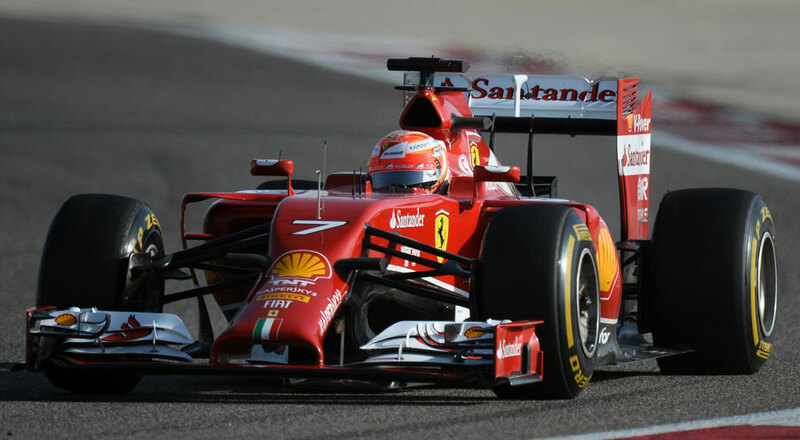 Raikkonen likes a responsive, almost oversteery front end, without having to dial in too much input on cornering. In 2012, the steering precision was a little off for his tastes, so Lotus resolved the matter in a couple of race weekends and in Bahrain he was already on the podium. The E20 was known for its quick response to setup changes, which was mostly down to efficient push-rod packaging. The situation at Ferrari now is a lot more complicated.